I’ve been developing websites and online applications for over a decade, focusing on open source software development, iterative, analytics-driven processes, and goal-driven custom solutions. The Weathervane website incorporates API data from the National Weather Service as well as other sources to provide a simple and low-bandwidth source of localized weather observations and forecasts. Among other things, this site is an exercise in continuous delivery with distinct updates being rolled out frequently. 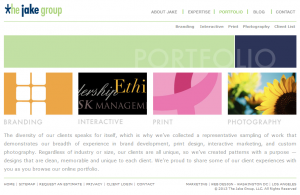 The majority of my work over the past decade has been with The Jake Group, a full service marketing and interactive agency specializing in custom website. I started as the lead developer and now manage the web development team. 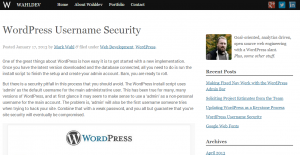 We focus on innovative WordPress engineering for a range of clients and applications, many of which are illustrated in our online portfolio. 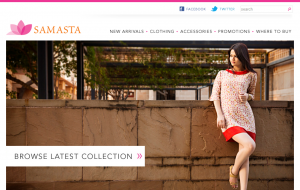 Samasta is an Indian clothing company based in Chennai, India. I worked with Samasta to develop a simple product interface that could be easily managed by the owner including item categorization and seasonal product lines. While the owner manages the site on a day-to-day basis, I continue to make site enhancements and provide strategic guidance based on analytics data. 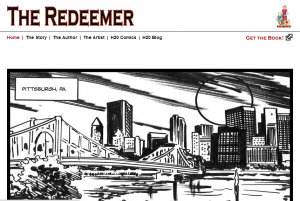 H2O Comic Books is is the website of Tim Gray, the author of The Redeemer comic book. The site includes a number of panels from the book, as well as easy purchase options. The Redeemer is Tim’s first published book, but there are more to come.